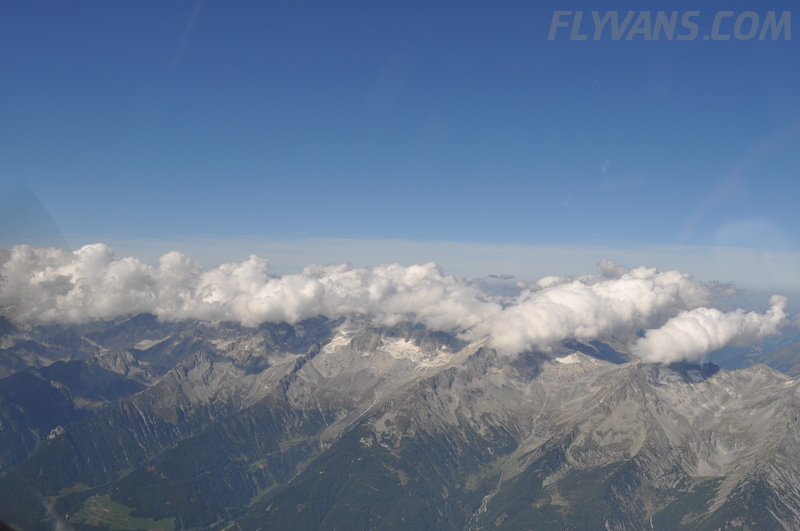 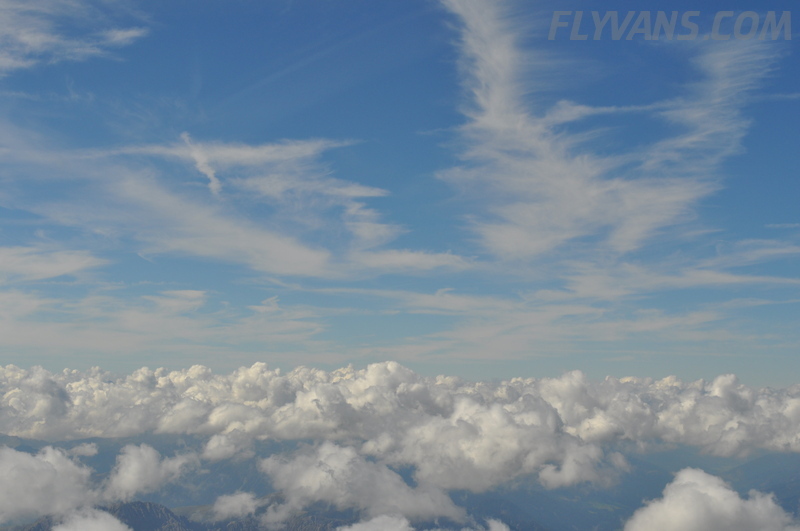 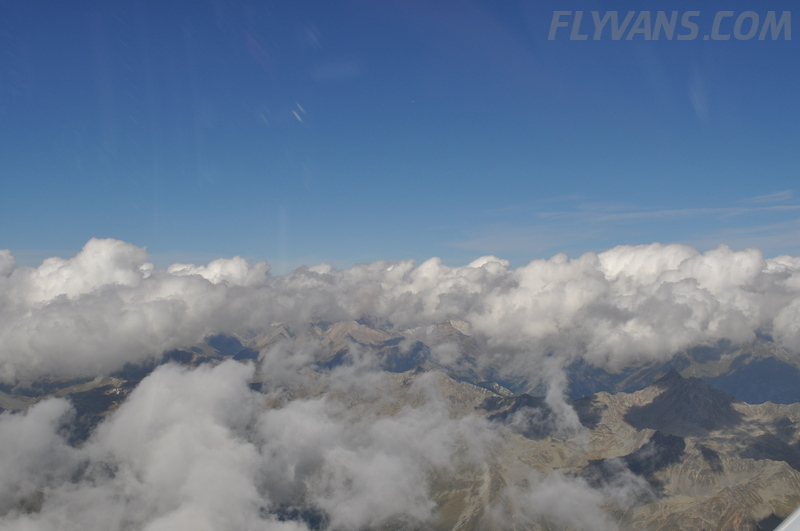 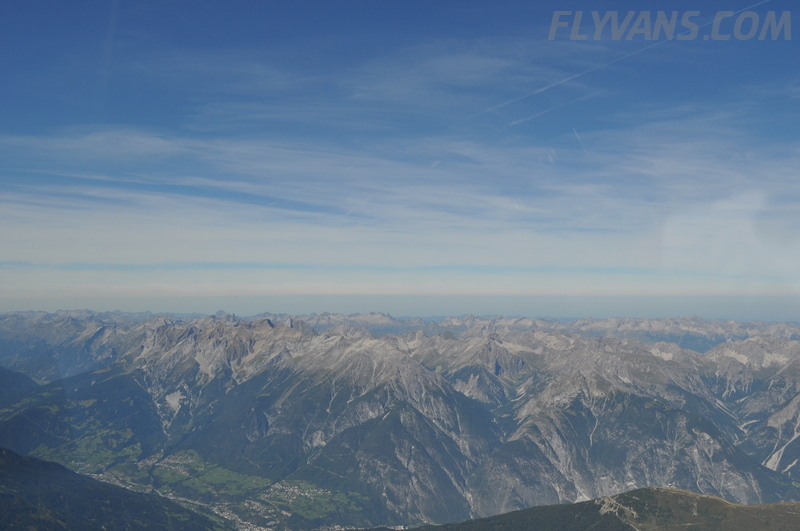 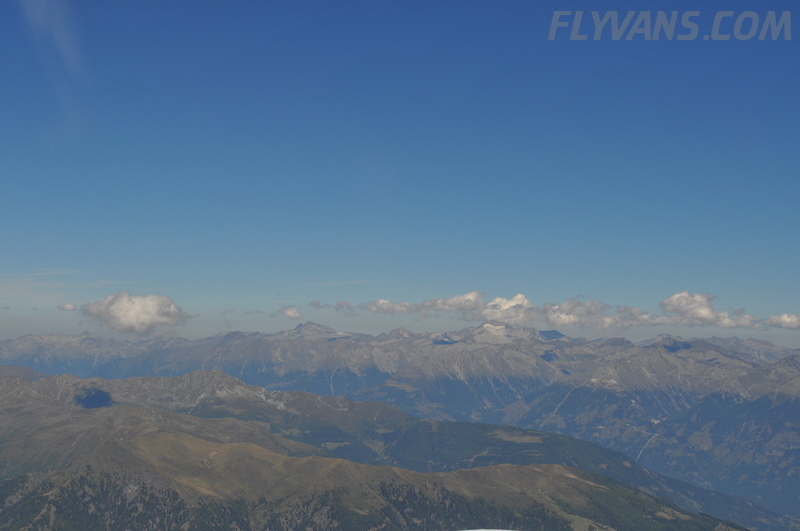 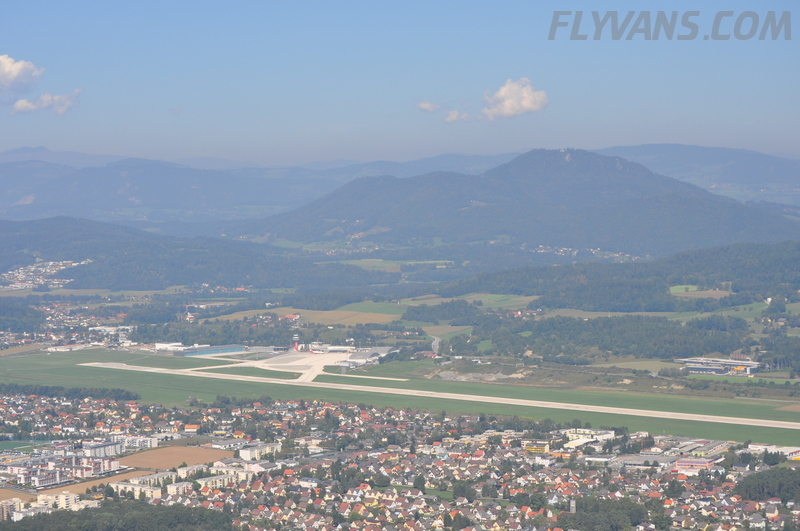 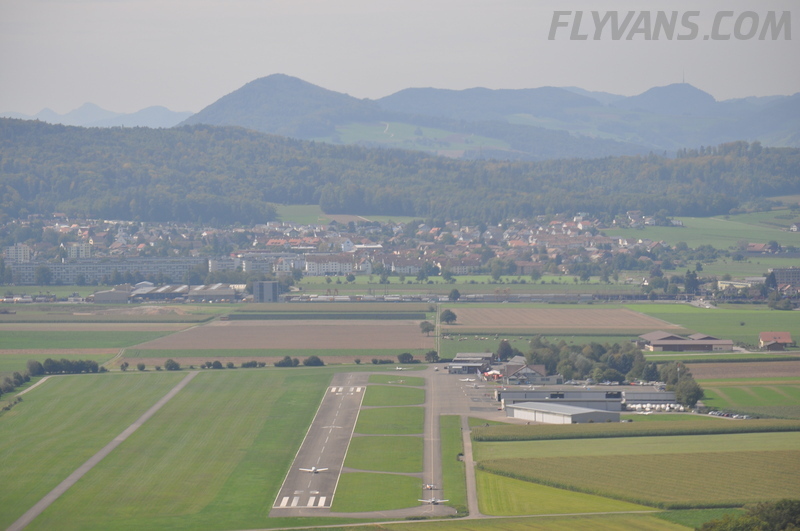 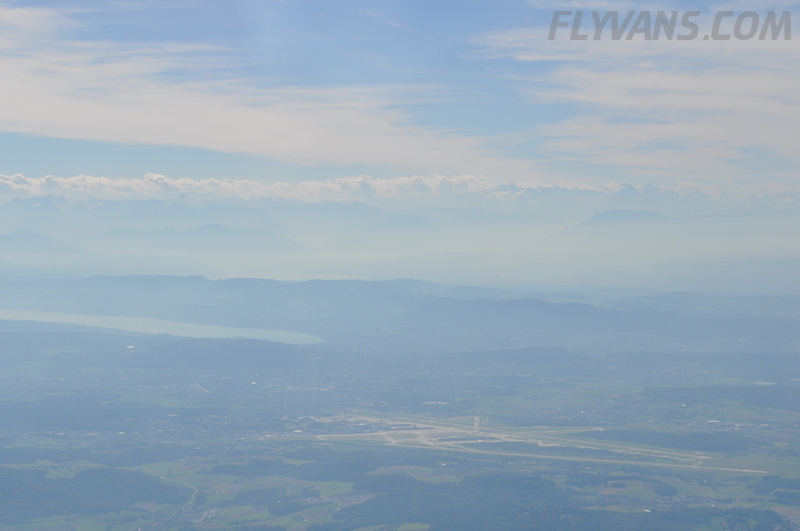 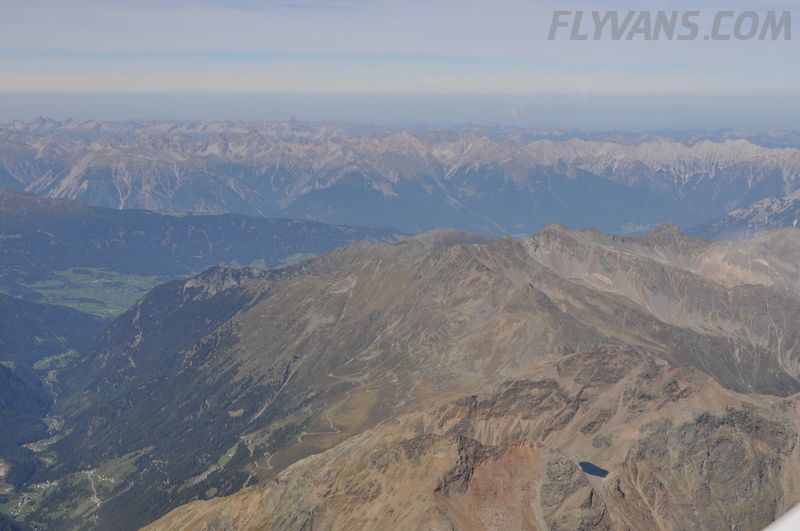 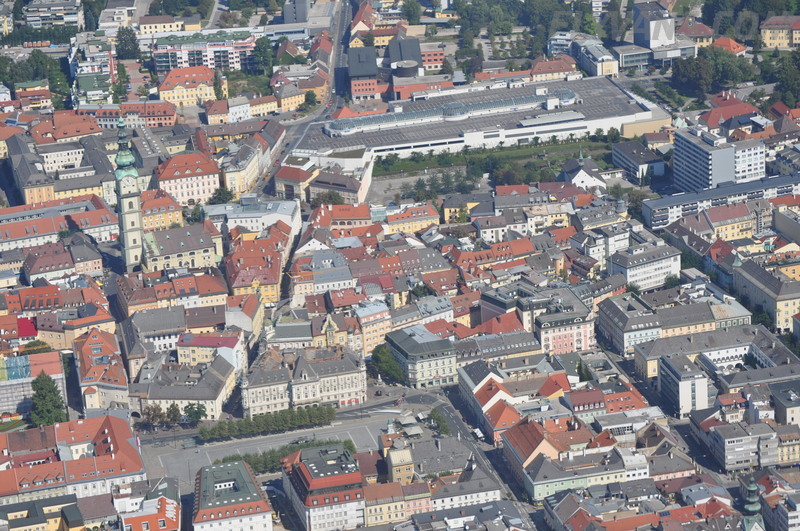 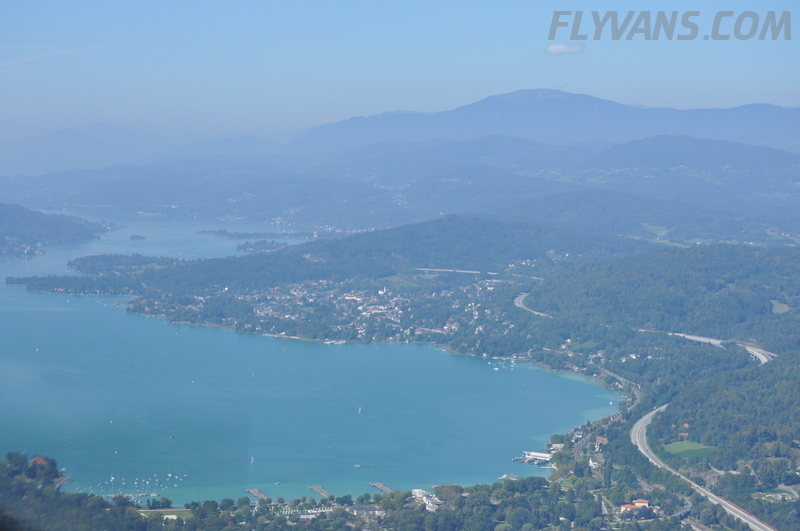 Since the weather forecast was stable and also quite nice, we decided to extend our stay at Klagenfurt by another day :-) On Sunday, when we were going to leave, the forecast had a deteriorating trend however… So we chose to depart just after checking out of the hotel around noon. 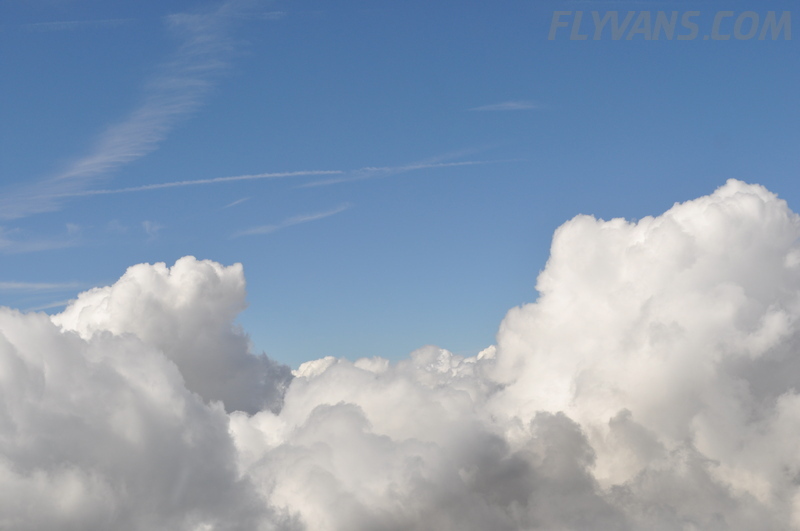 Weather held up nicely and only late in the evening, the cold front approached from the west. 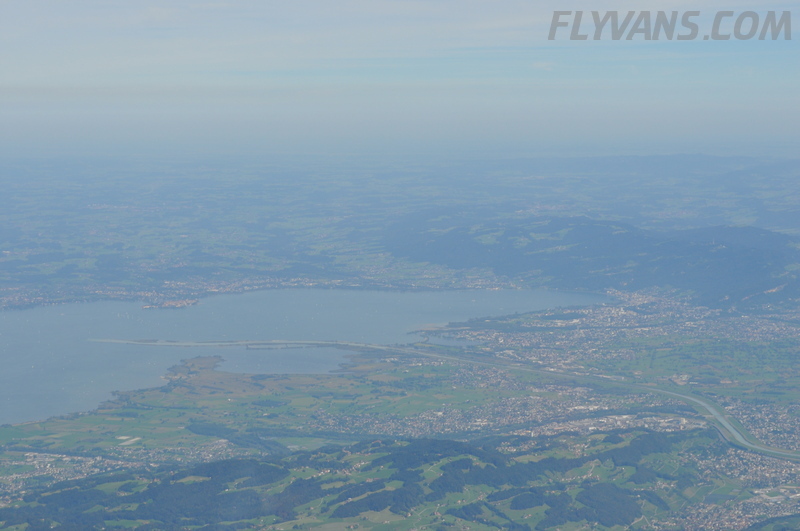 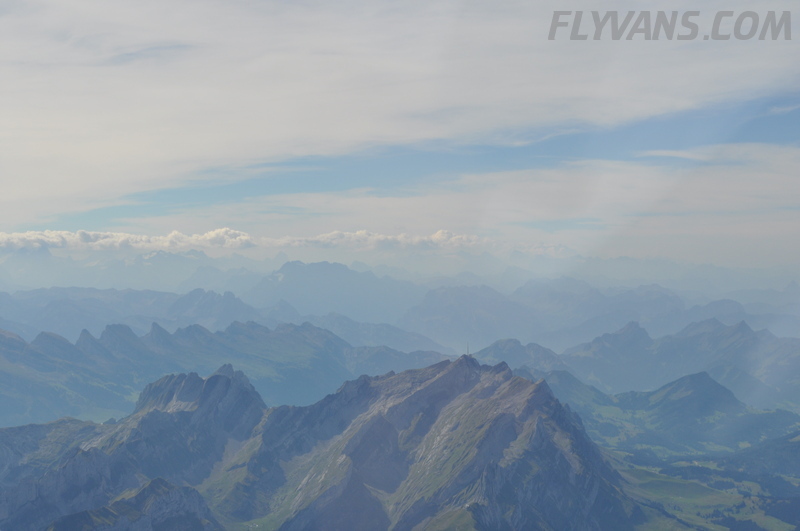 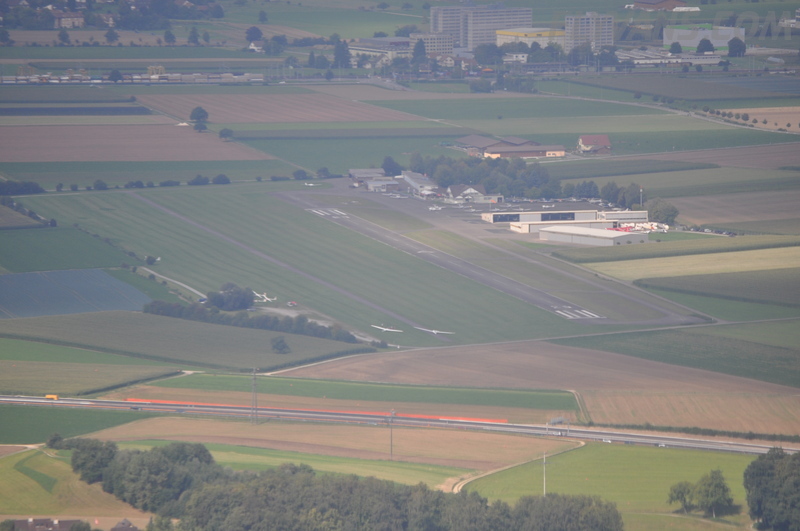 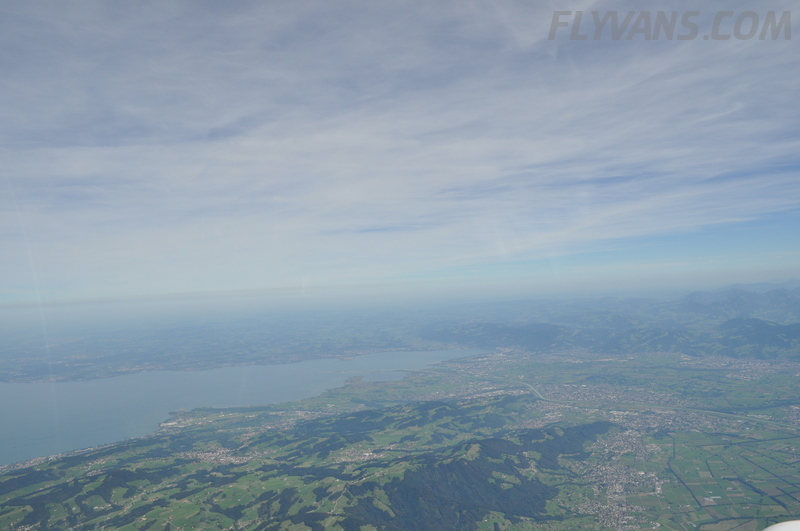 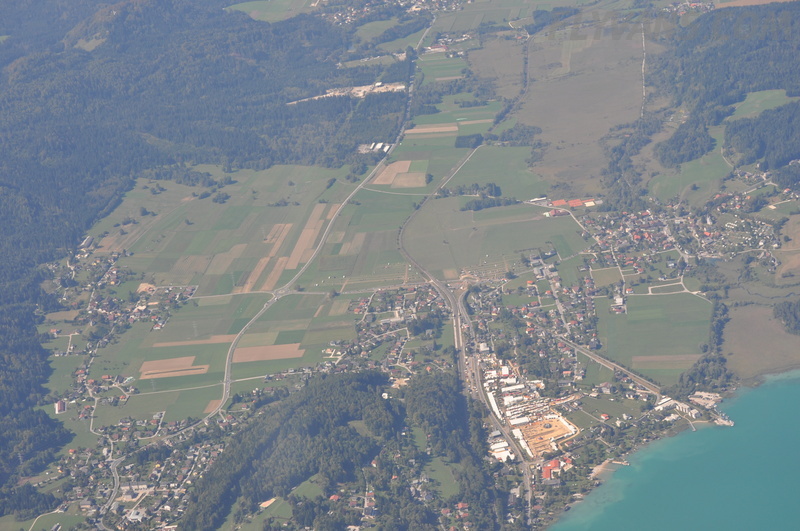 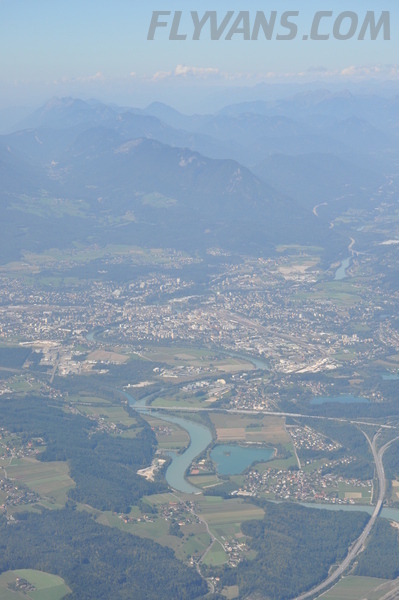 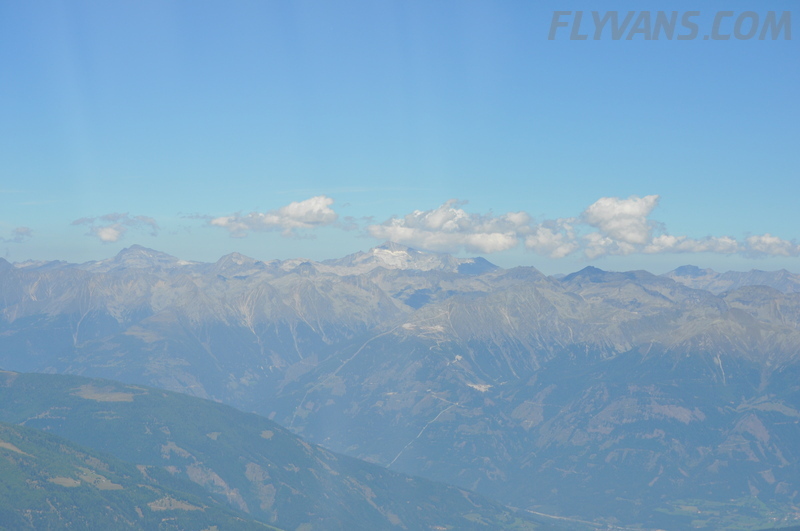 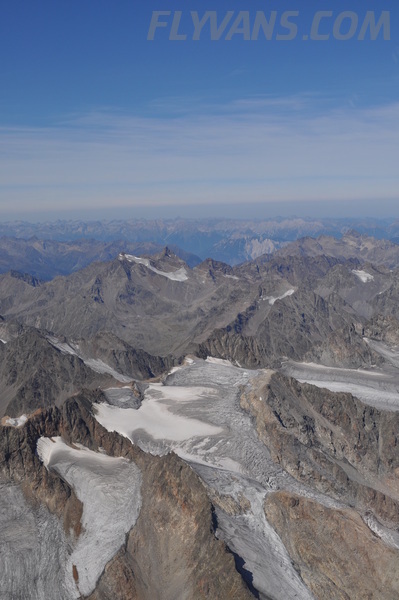 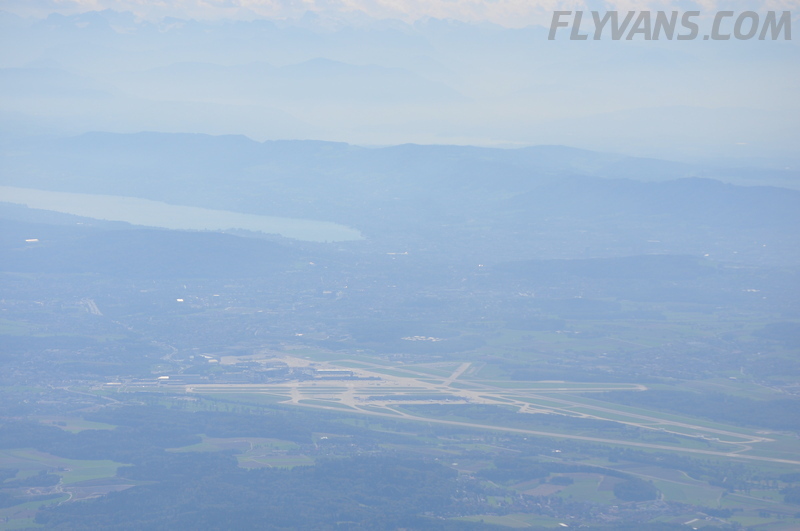 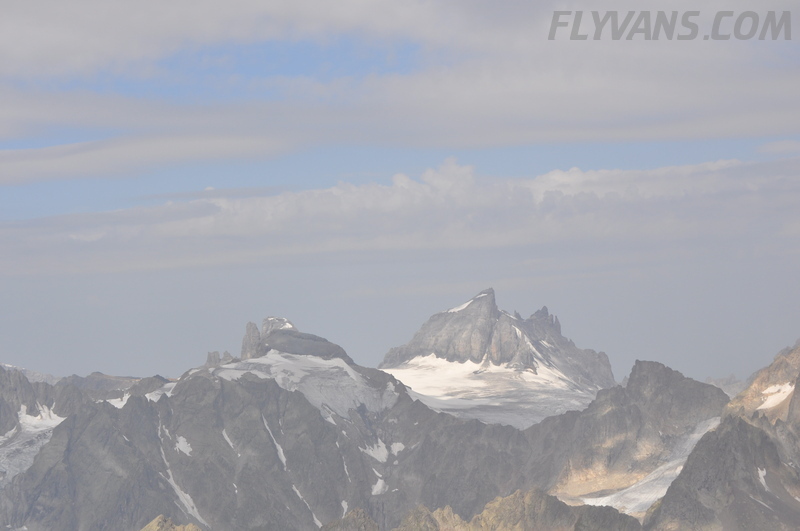 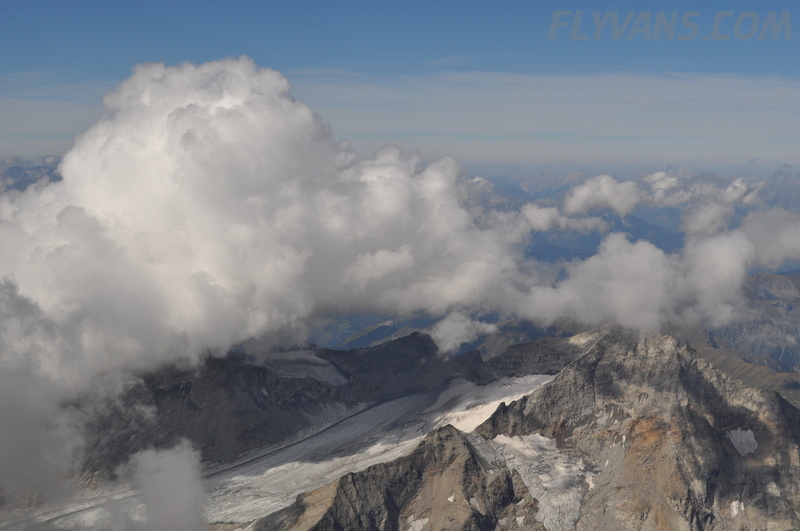 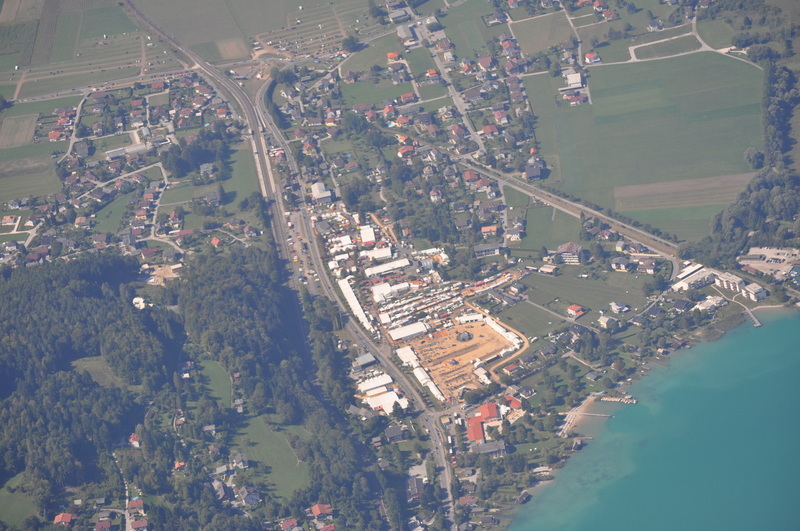 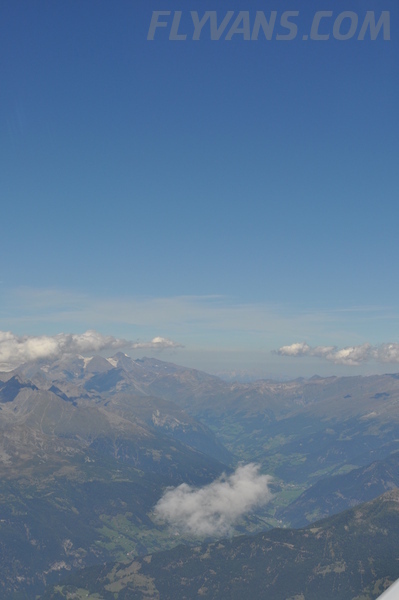 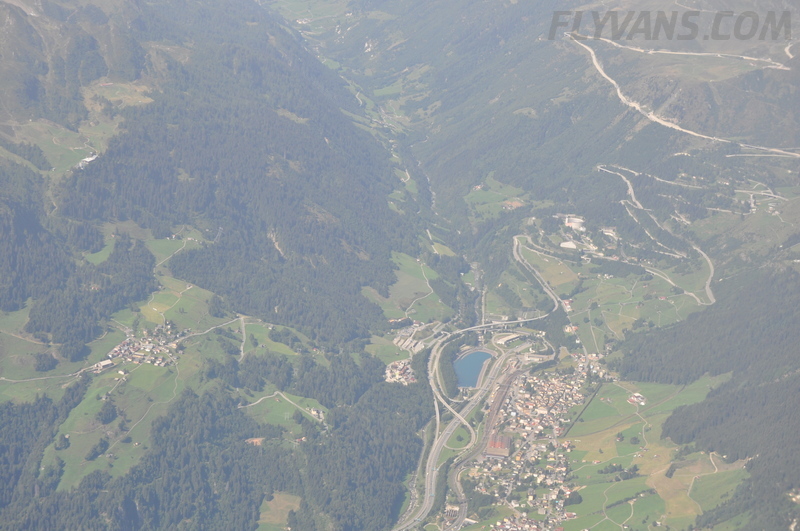 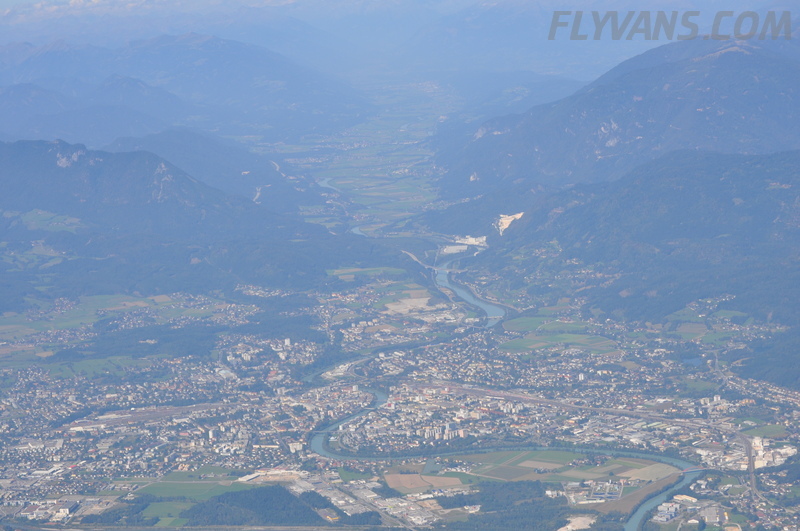 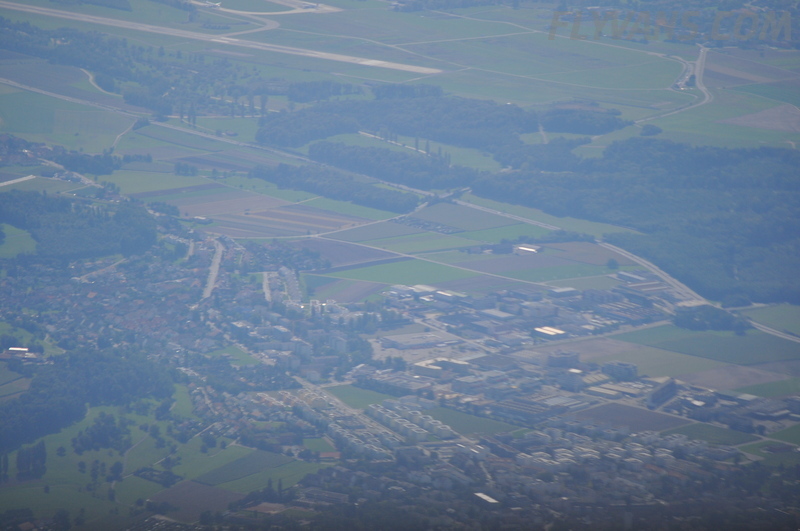 Got to say hello to my buddies from work on the way home, crossing through the LSZH TMA, high above our apartment, in a continous descent towards Birrfeld. 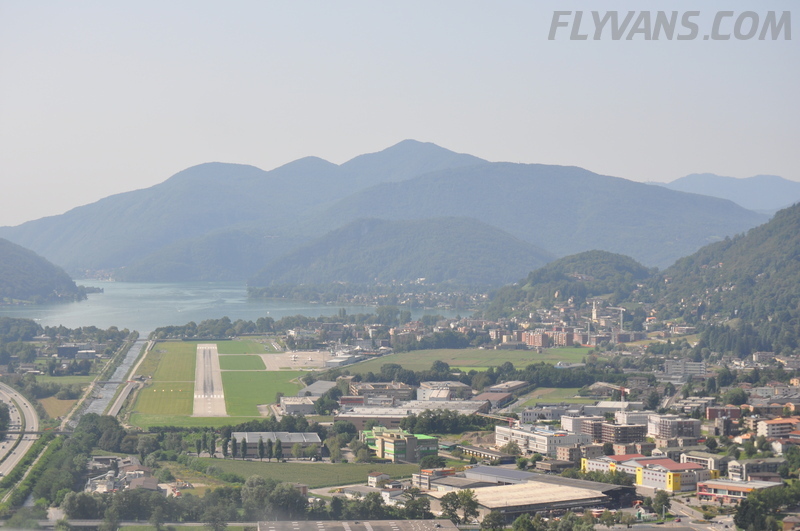 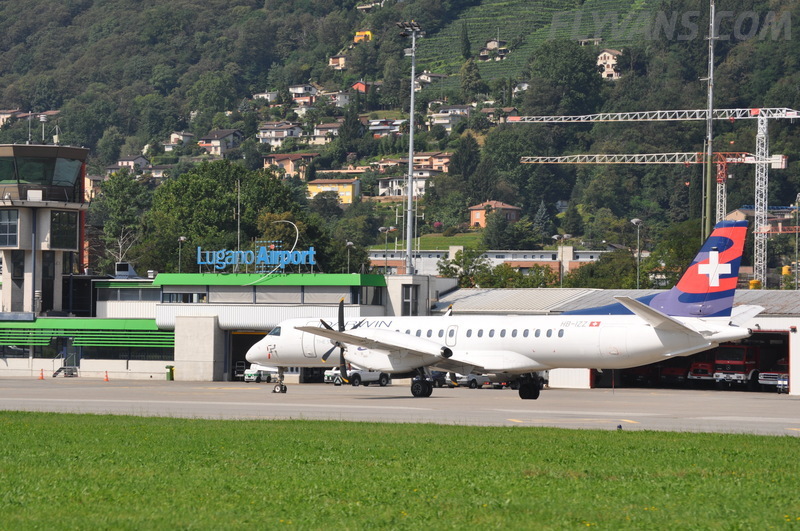 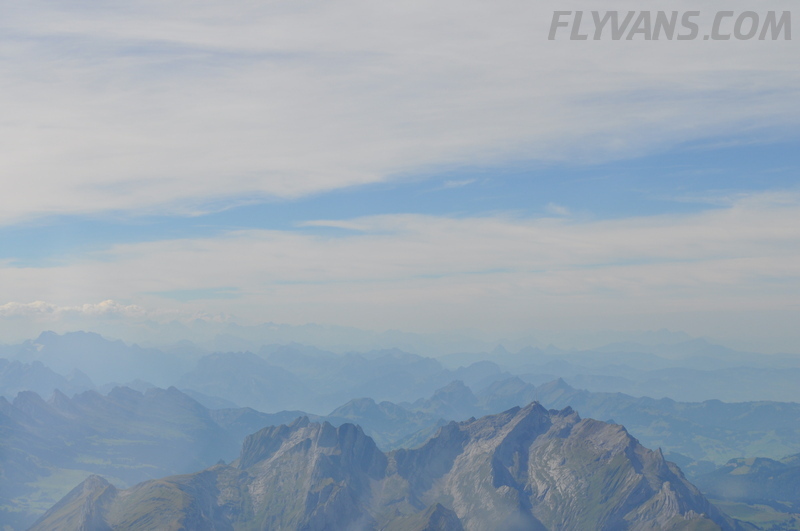 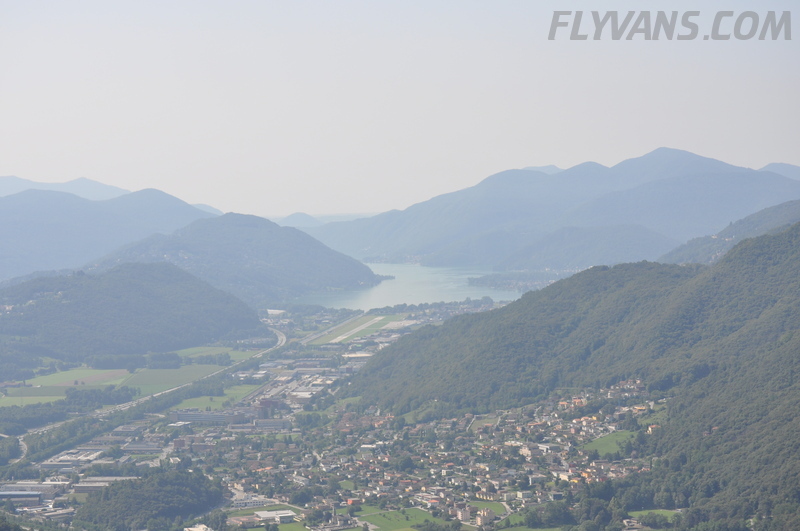 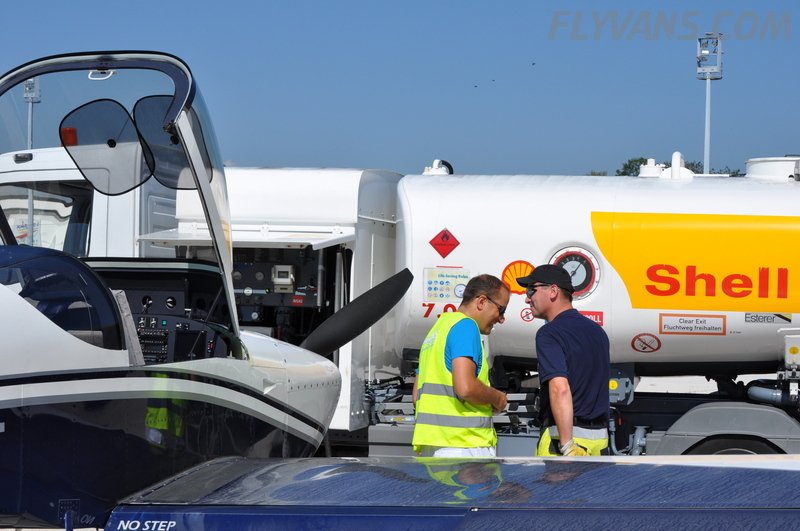 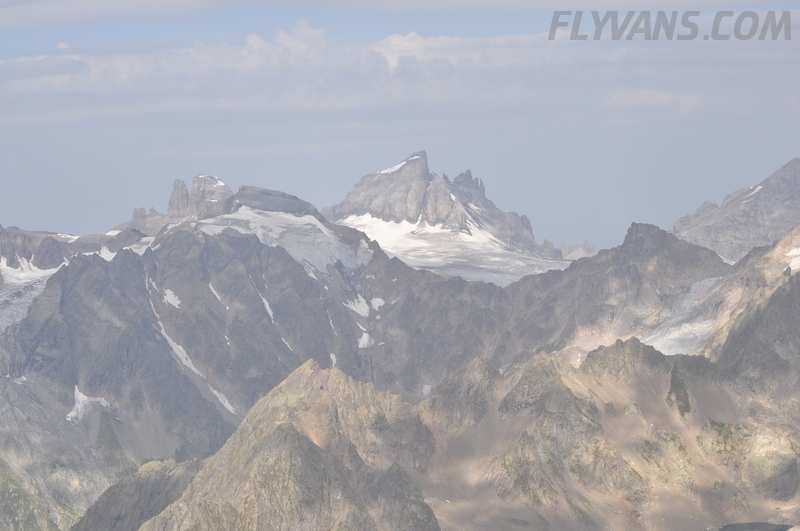 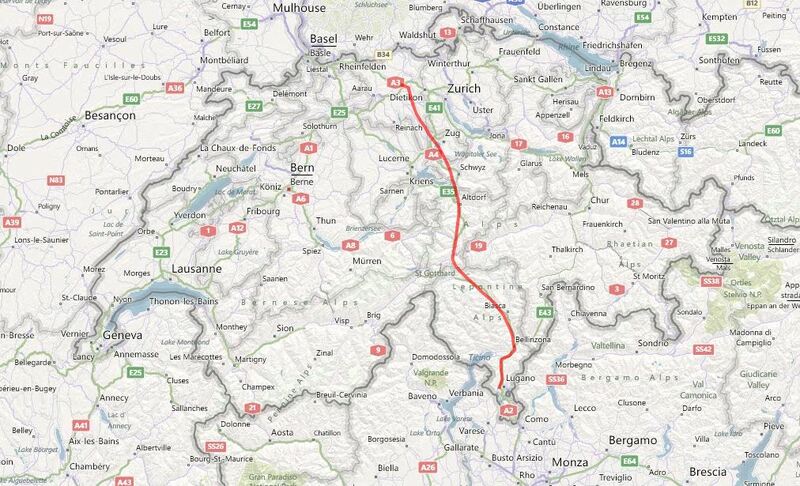 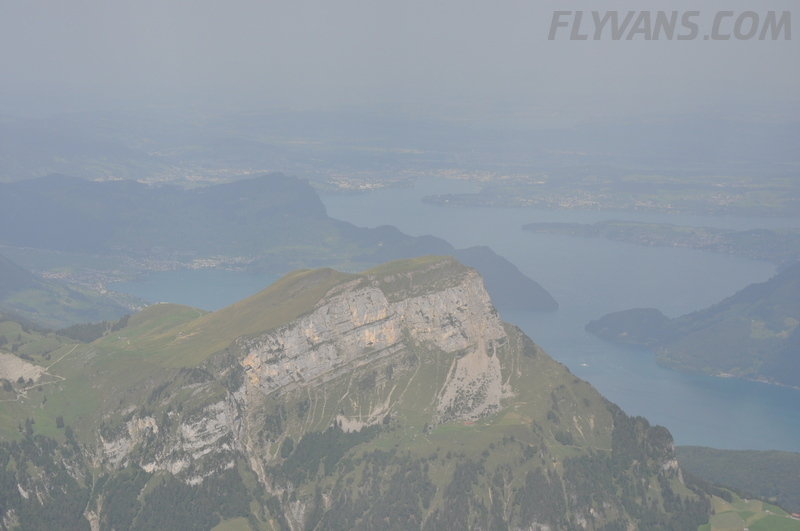 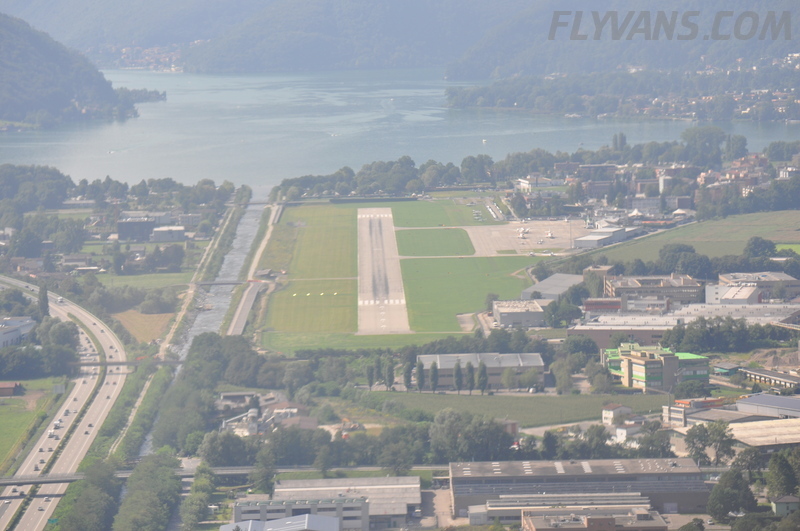 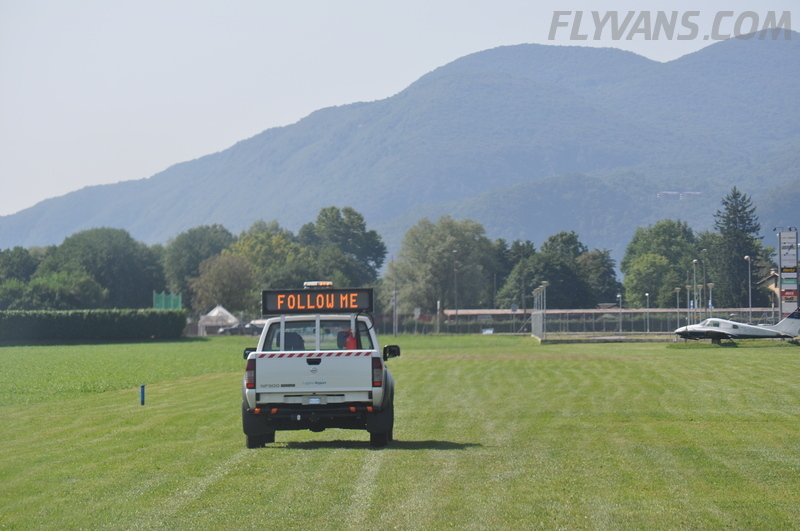 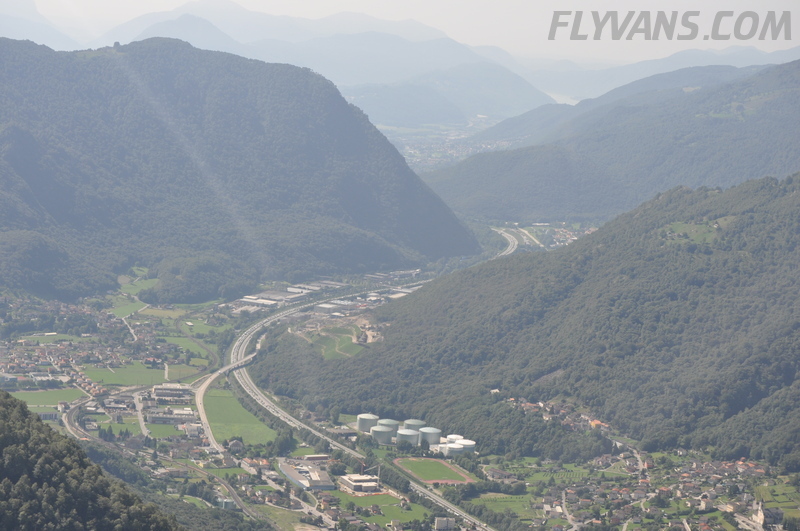 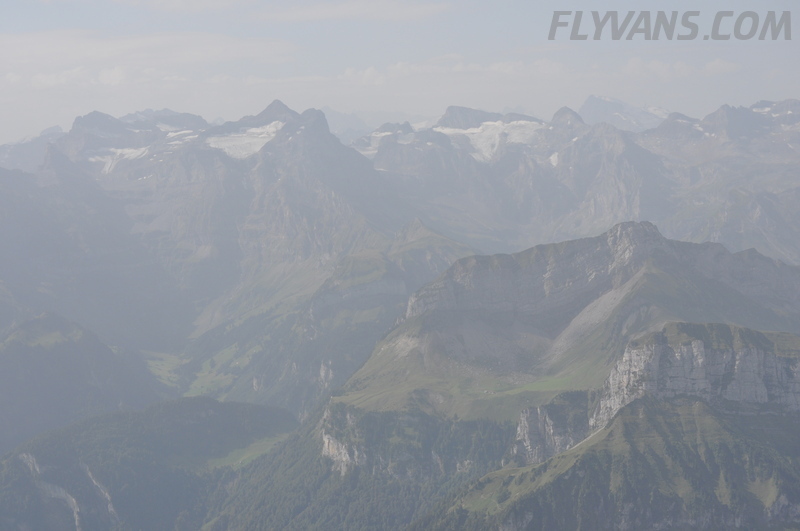 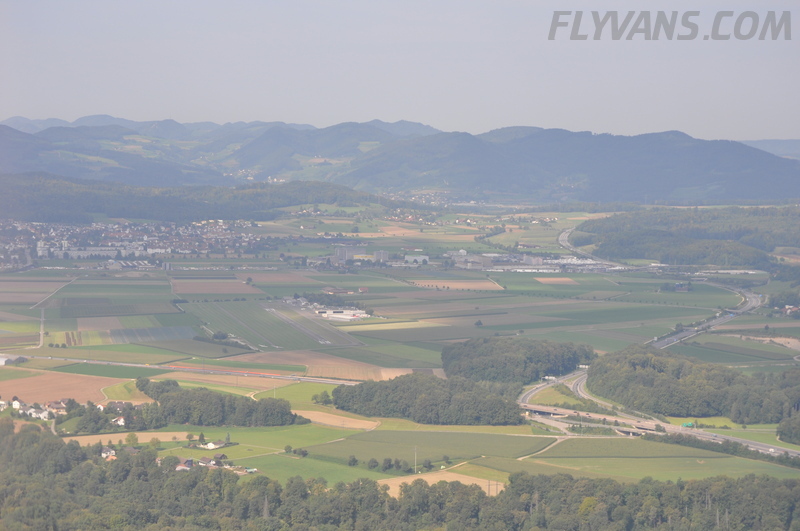 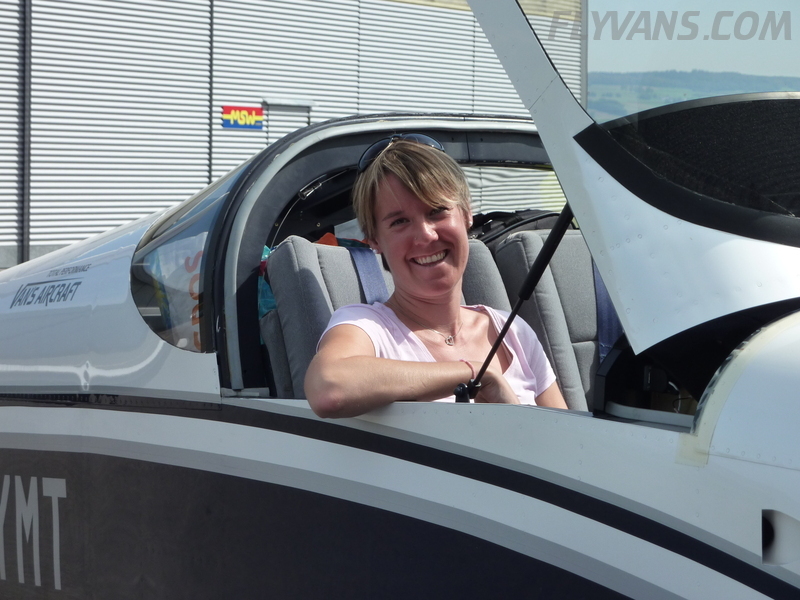 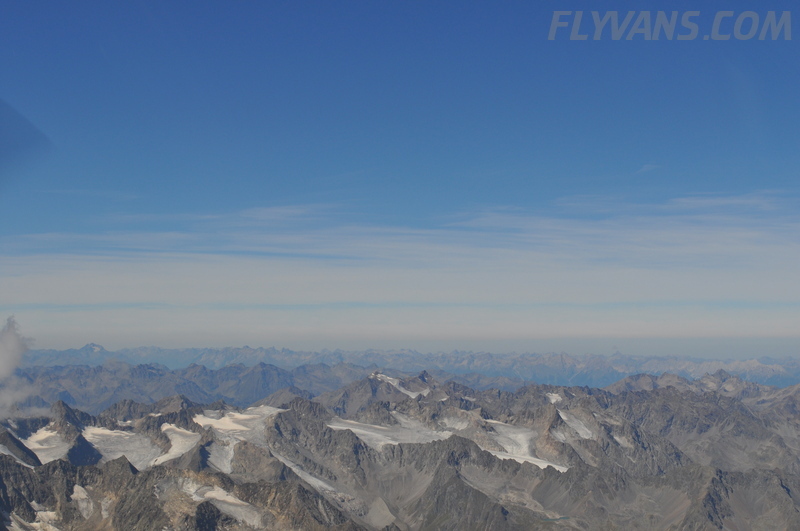 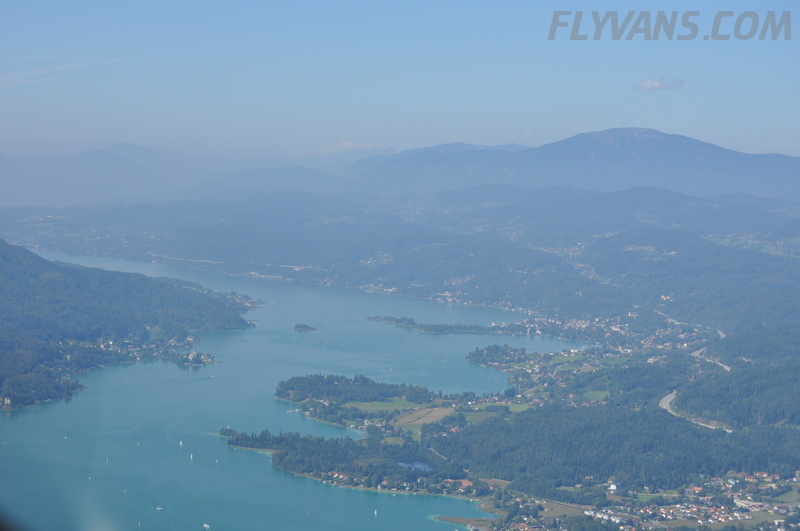 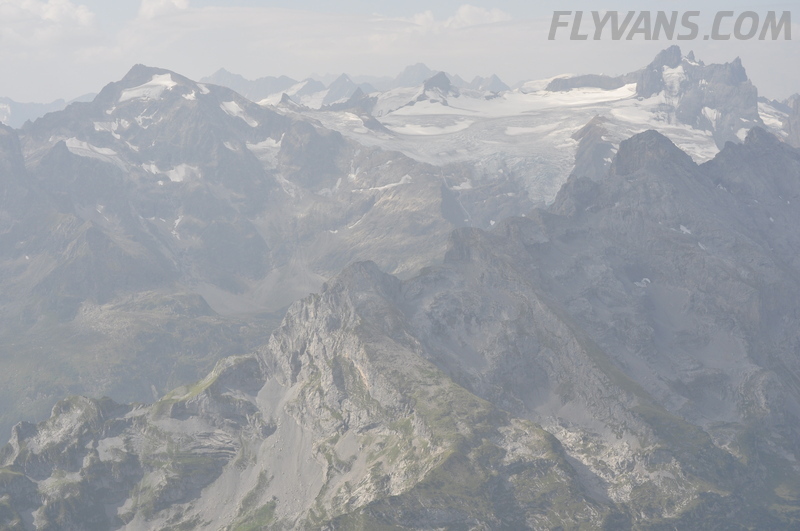 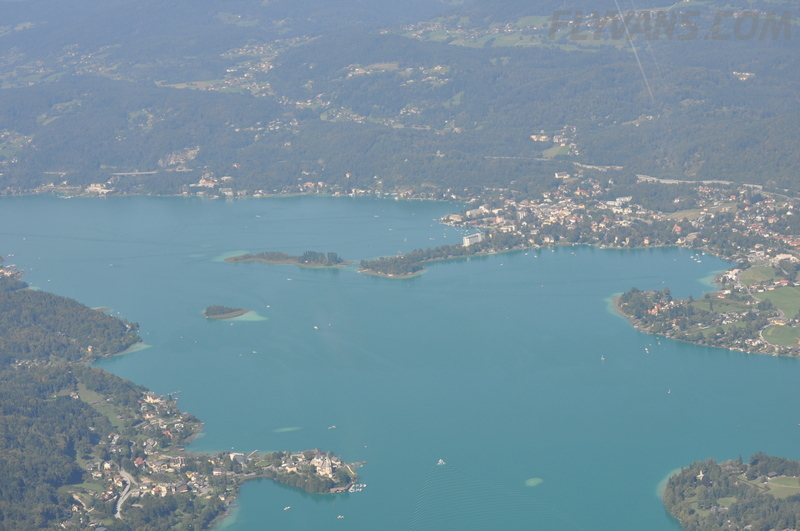 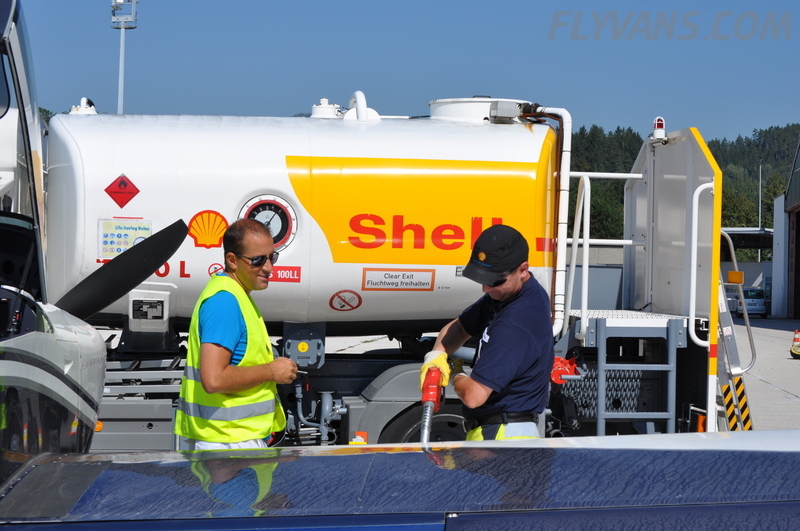 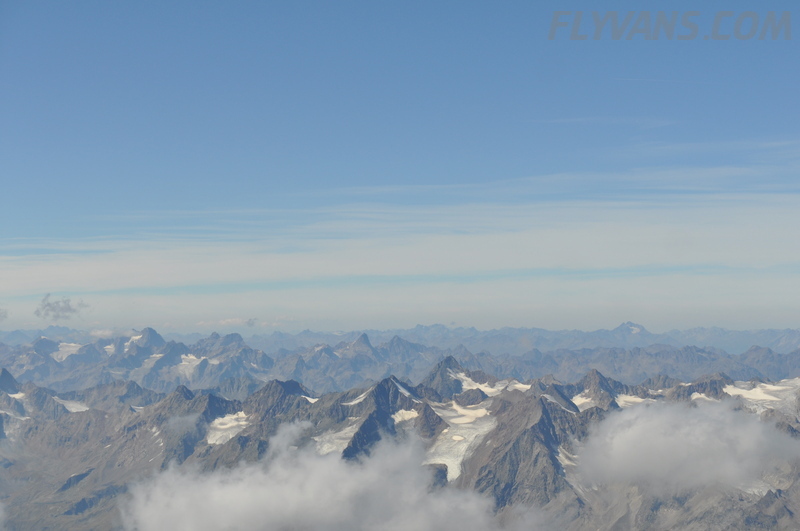 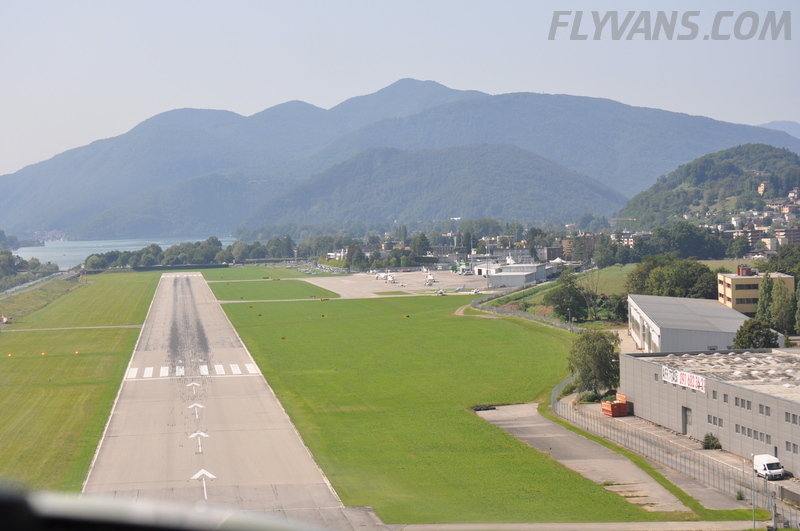 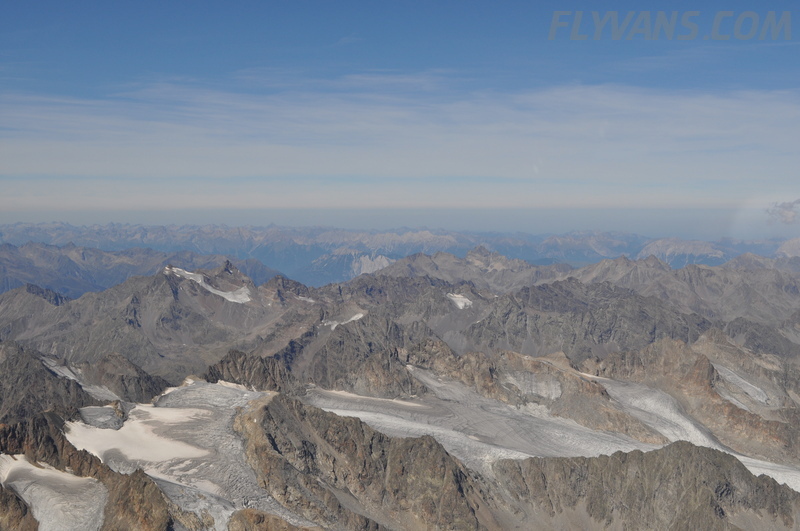 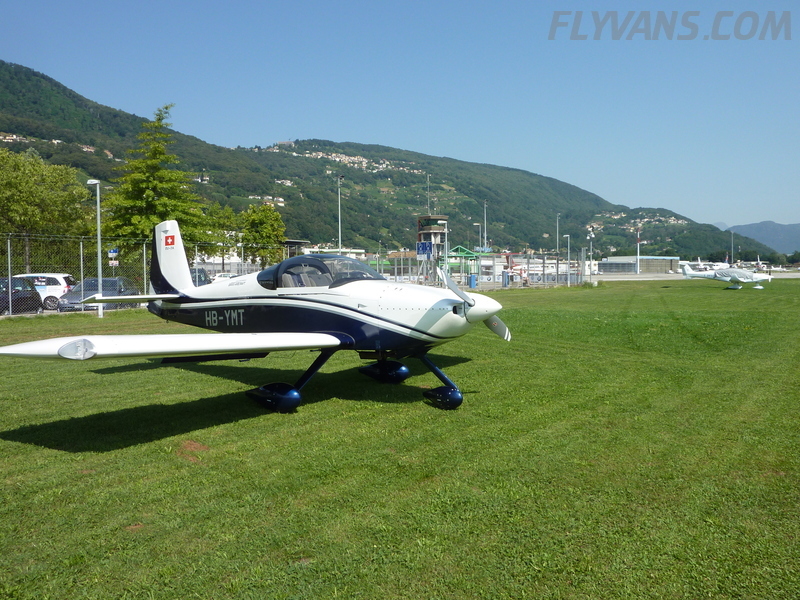 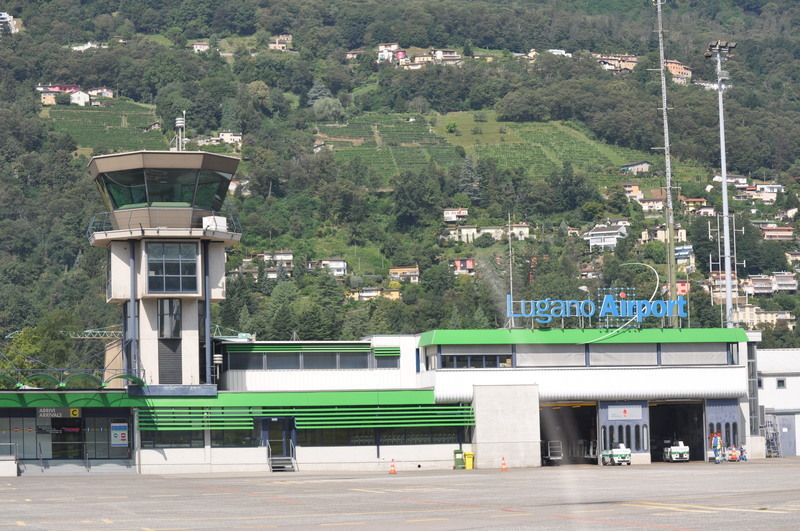 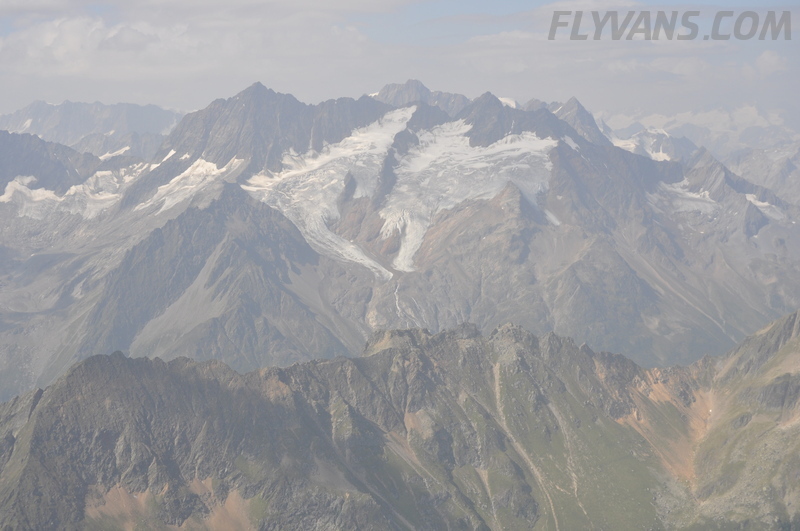 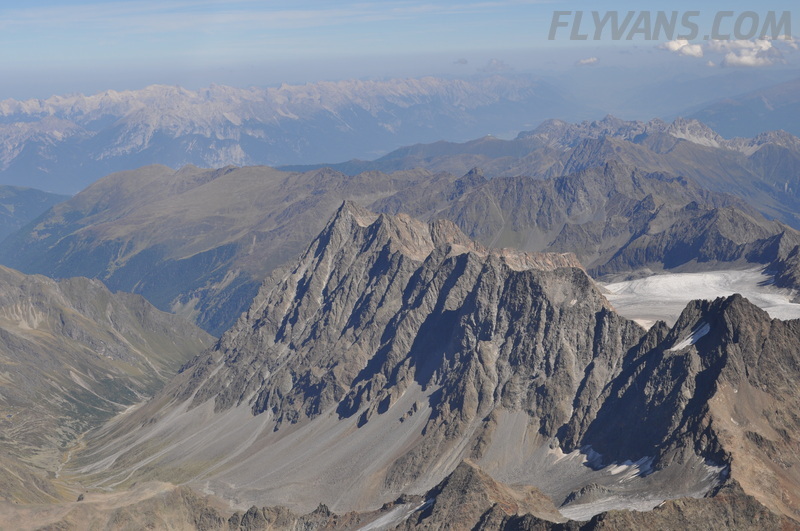 Sunday morning, we left Birrfeld on a short flight to Lugano, a short (and efficient) tech stop to fill the tanks with (relatively speaking) cheap AVGAS in Switzerland and comply with the required customs bureaucracy/regulations. 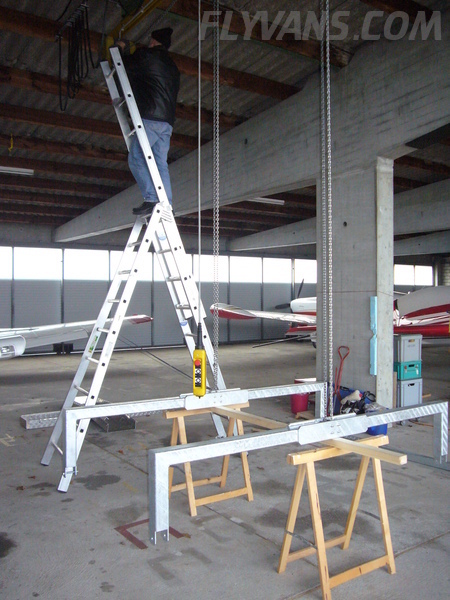 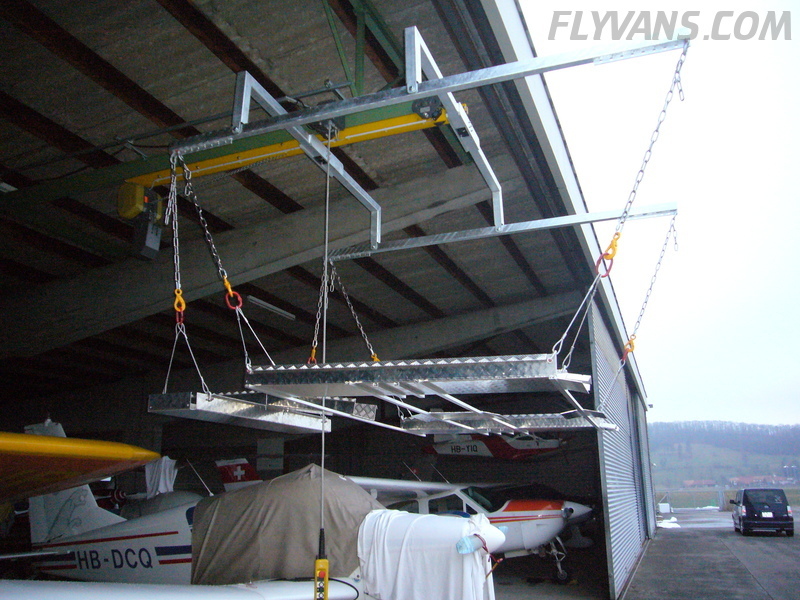 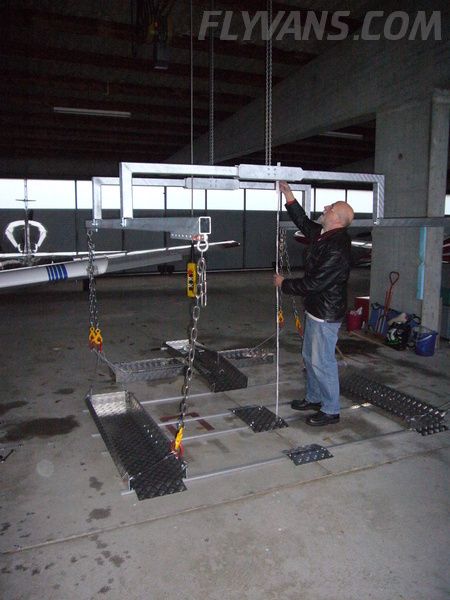 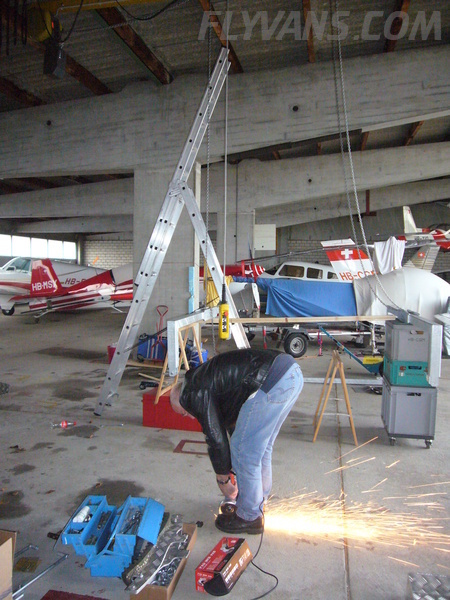 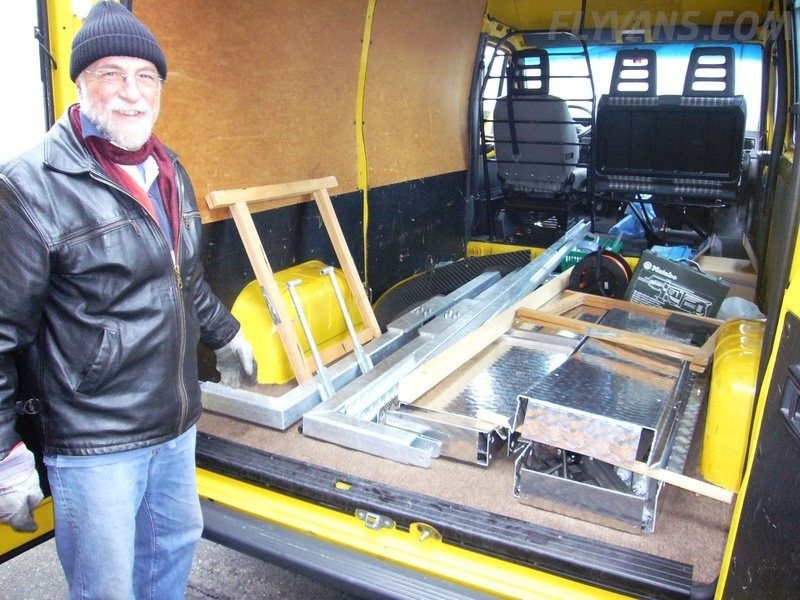 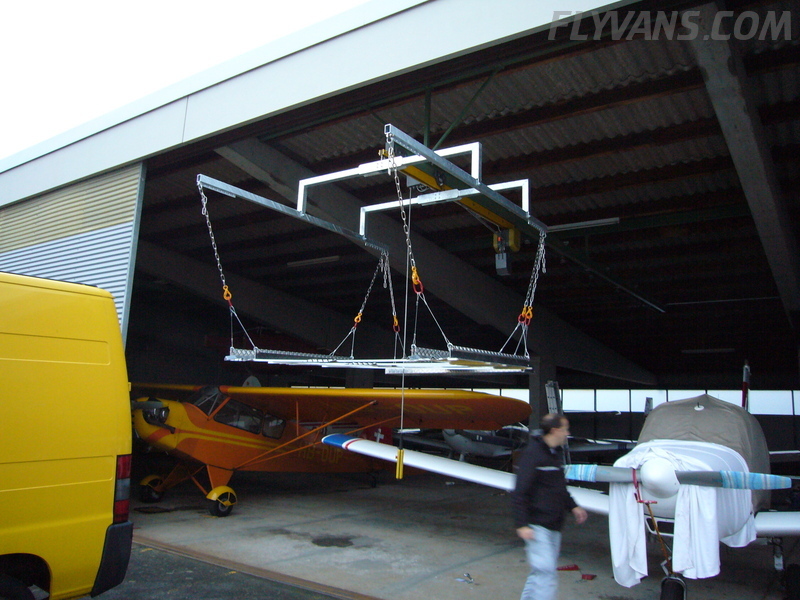 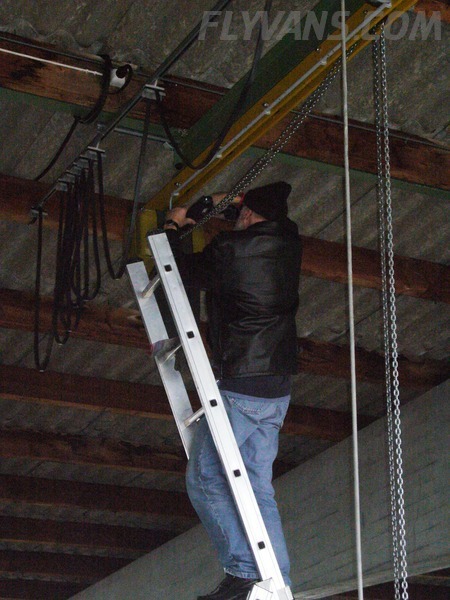 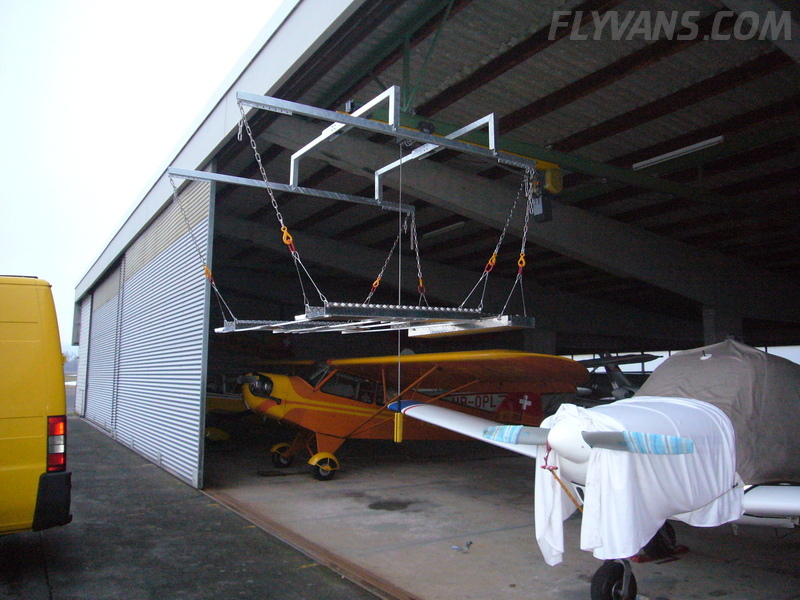 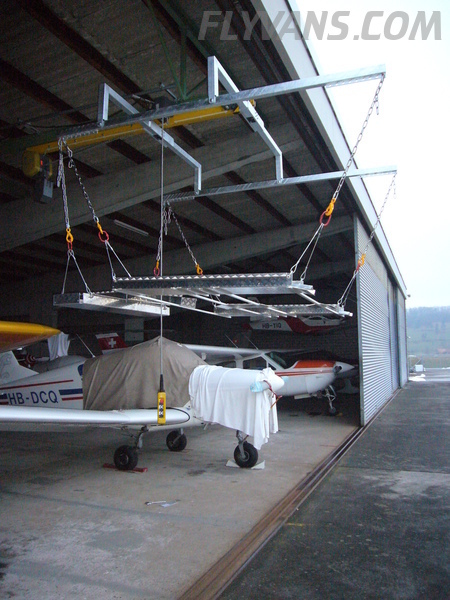 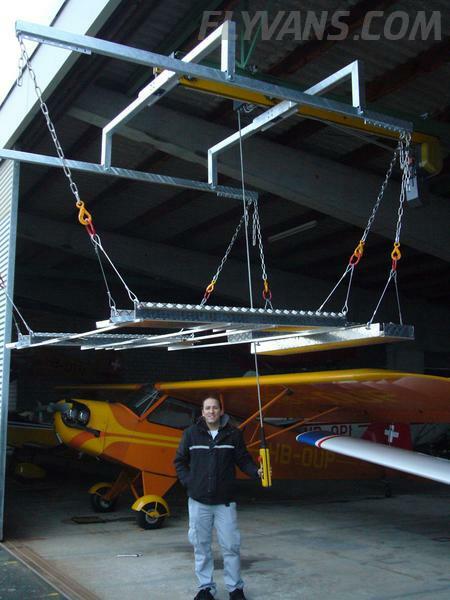 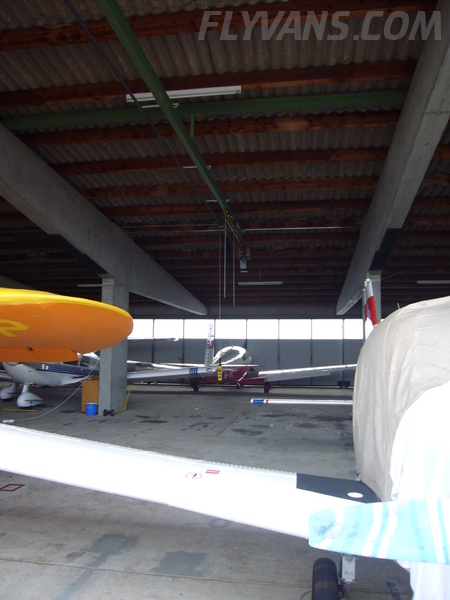 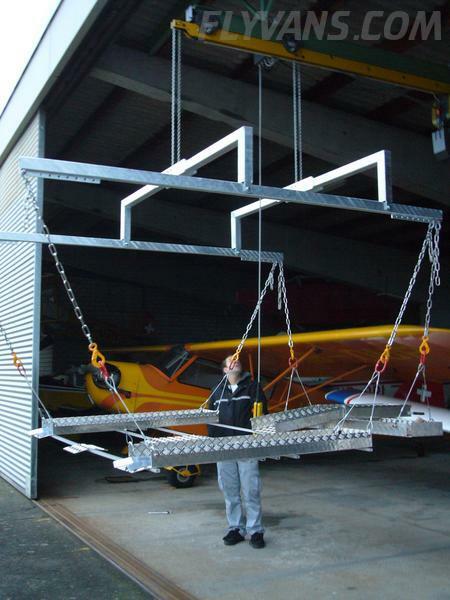 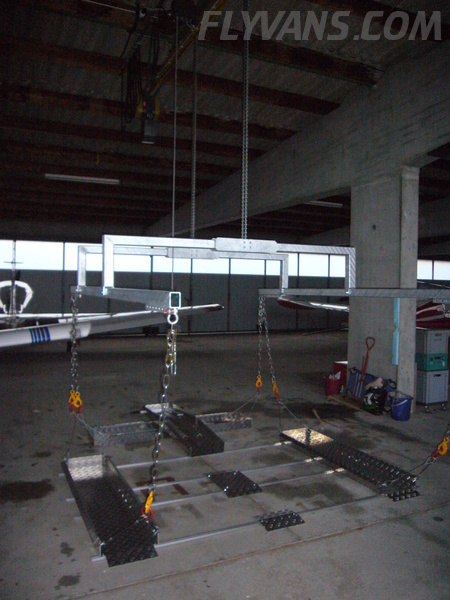 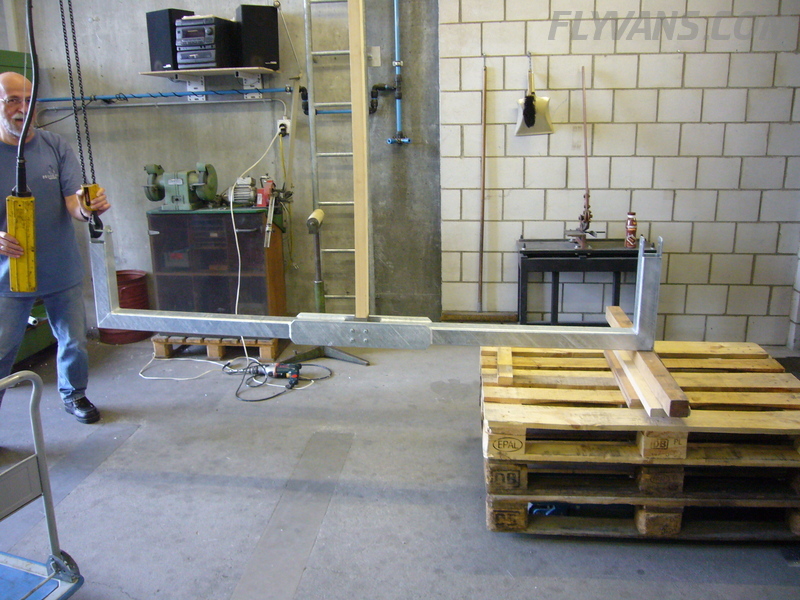 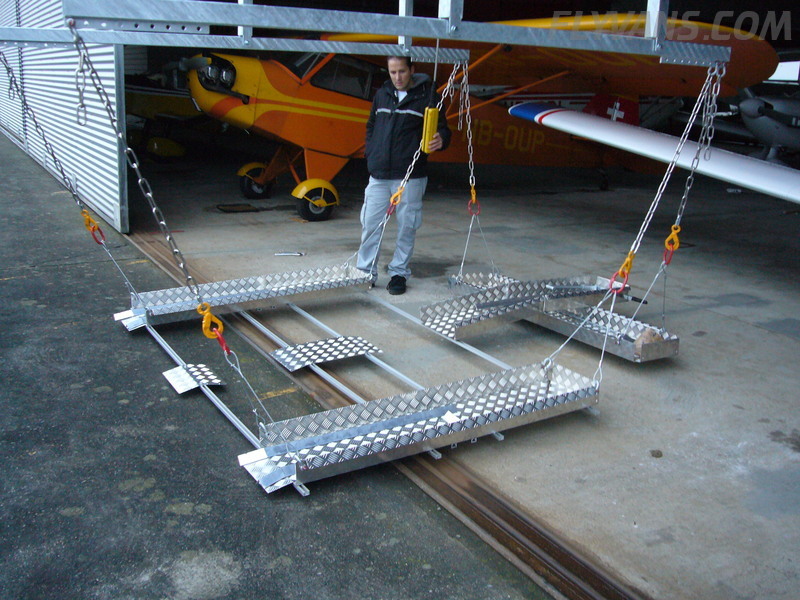 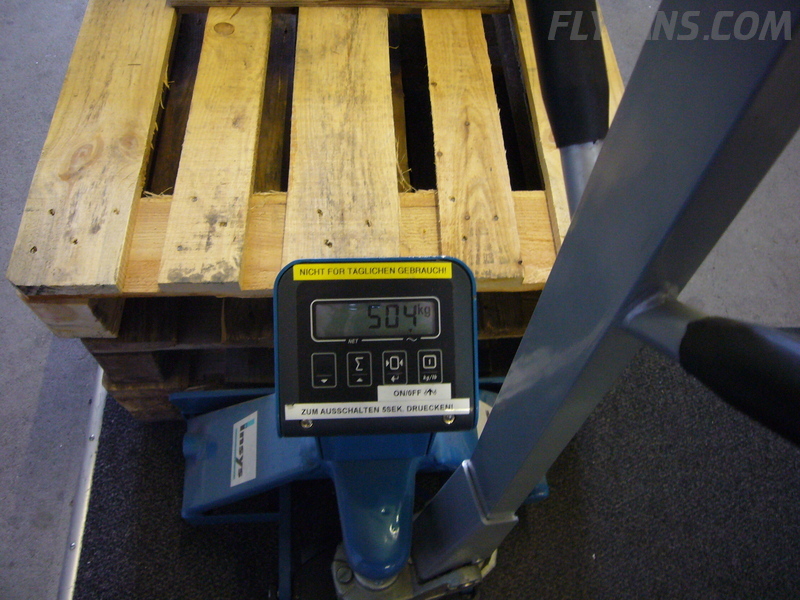 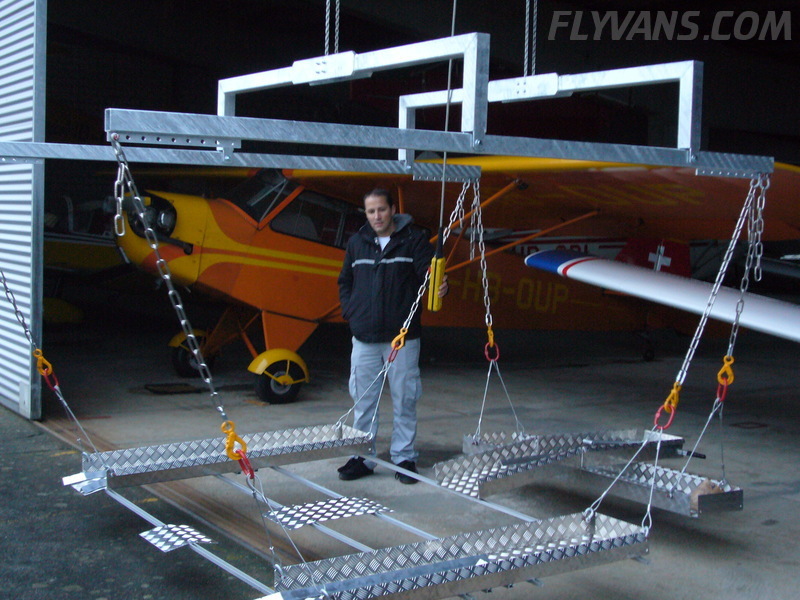 Last saturday, Markus came to Birrfeld to install the finished hangar crane mount. 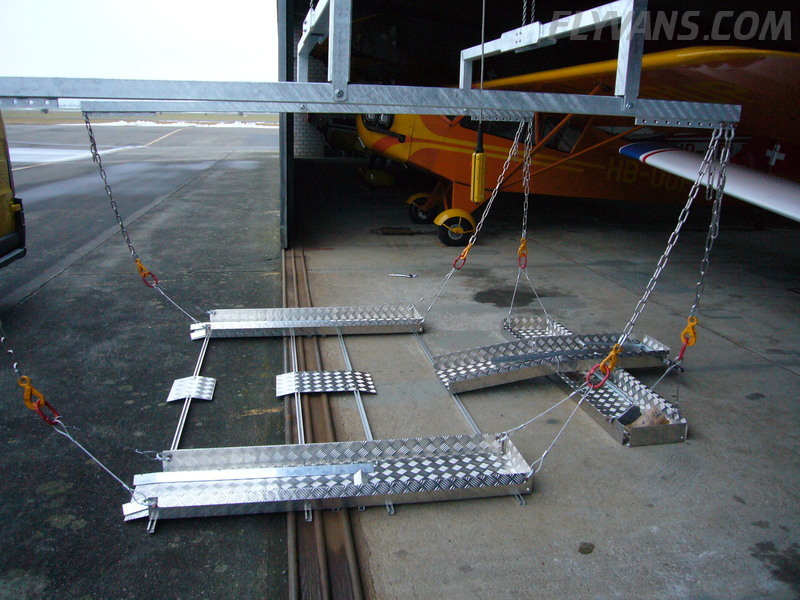 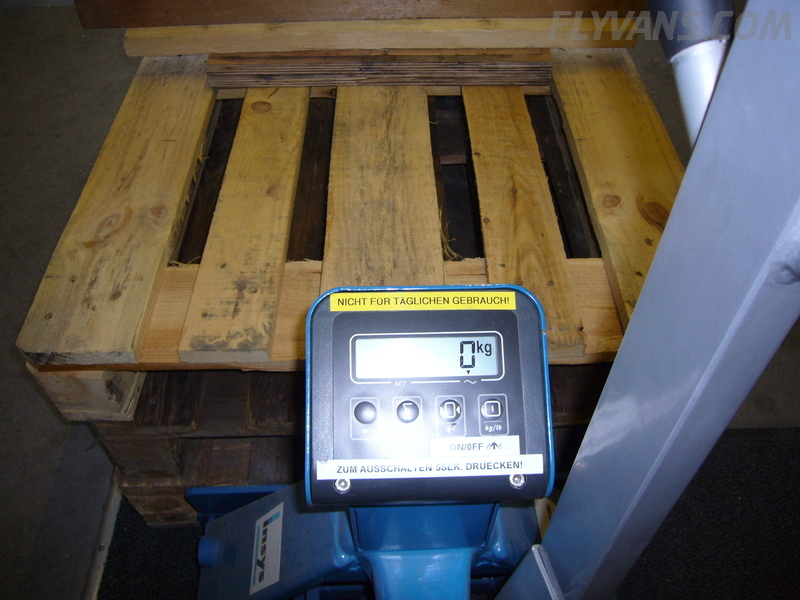 http://www.flyvans.com/subproj/hangarkran.html for some more information regarding the project. 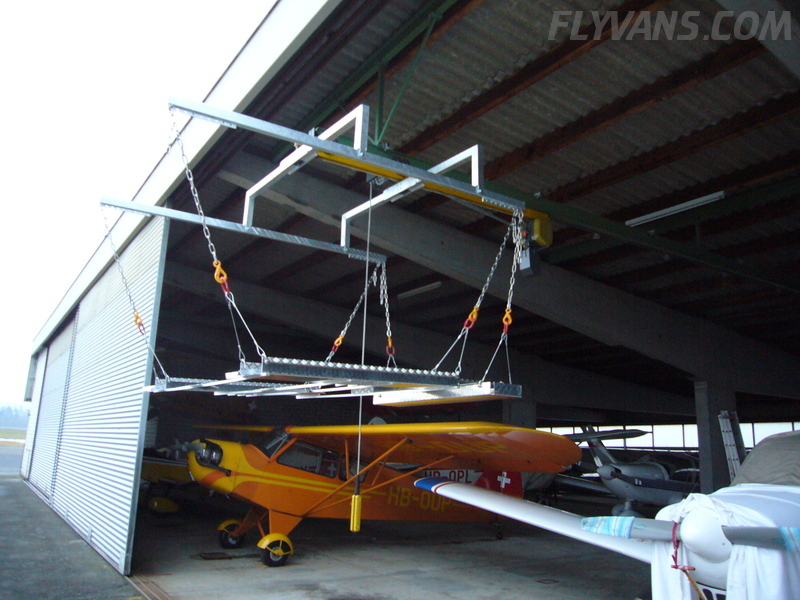 It’s almost ready to take on the plane once it’s assembled. 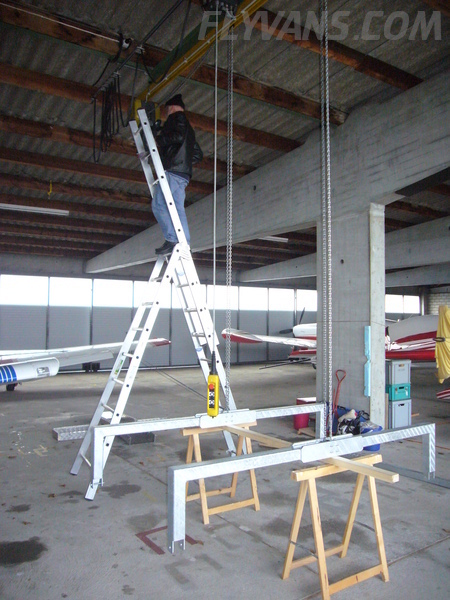 Only minor rigging and adapting will be required.